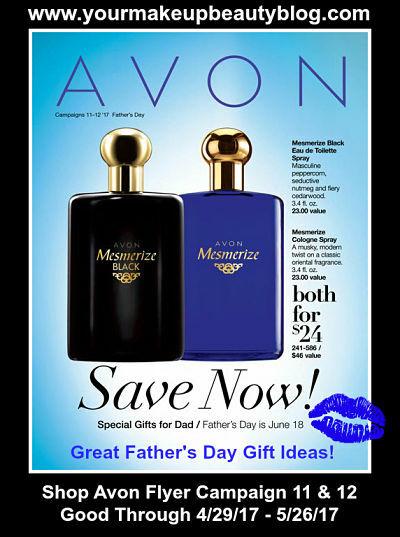 AVON SAVE NOW – SPECIAL GIFTS FOR DAD | FATHER’S DAY IS JUNE 18. This Avon flyer online is good through 5/26/17. Haven’t decided what to get dad? Check out this flyer & click on the image to flip through the Avon flyer online. Lots of ideas for that special Father’s Day make it memorable. Get Dad’s gifts in time for that lovely day..
Don’t forget you get 10% OFF any Avon order Use Coupon Code: WELCOME10 Single Use Online Code. TIP: FREE SHIPPING on $40. No code required! Shop all Avon men’s fragrance, jewelry & more.. This irresistible blend of aromatic lavender, refreshing spearmint and rich cedarwood creates a bold and masculine long-lasting impression. 2.5 fl. oz. 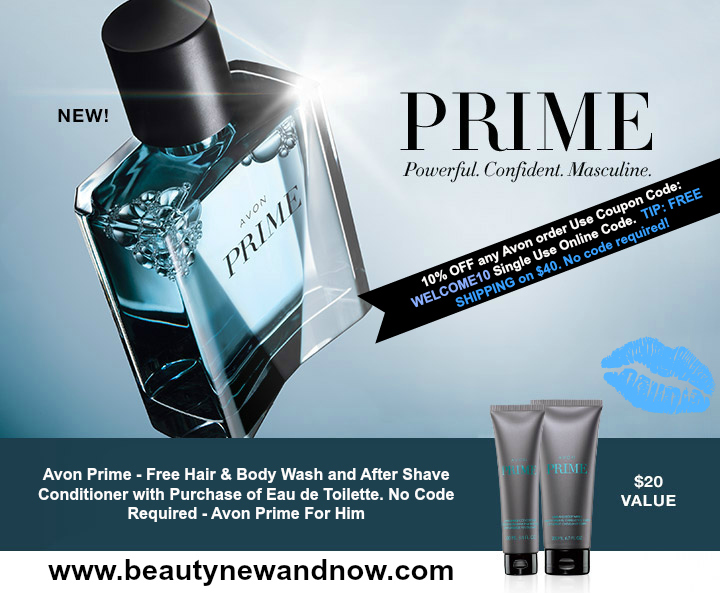 TIP: When you add Avon Prime Eau de toilette in you shopping cart for $30.00 the Avon Prime – Free Hair & Body Wash and After Shave Conditioner will be added automatically in your shopping cart..
Shop Avon’s top-rated beauty products online. Explore Avon’s site full pf your favorite products, including cosmetics, skincare, jewelry and fragrances. Next Post Considering The Change On My Site Domain Name | What Do You Think Folks?